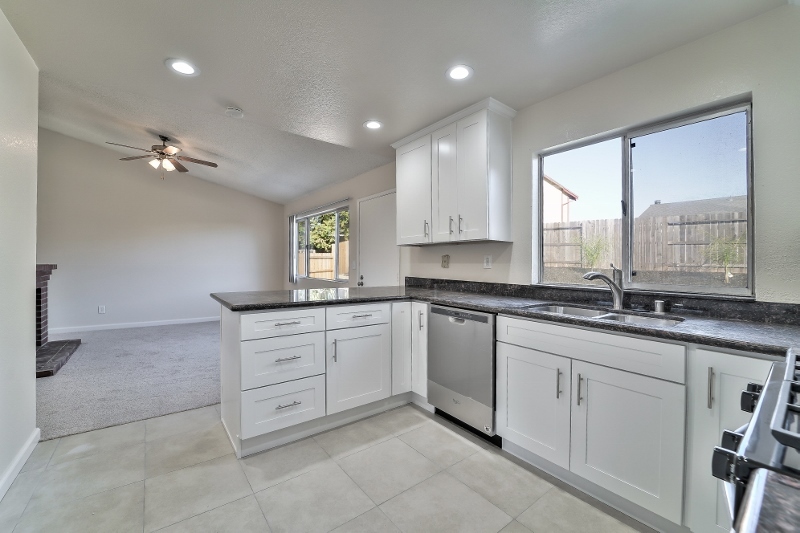 Tranquil and engaging is this captivating 1,464 square foot 3 bedroom, 2 bath residence that is ready to move in. Imagine coming home to this accommodating and alluring open floor plan displaying a modern kitchen, a master suite, and a living room with unique interior that includes plush carpet, natural lighting, and a cozy brick fireplace lodged in the center area separating both the living room and family room for precise continuity. Vision the opulence of the warm and spacious living room, which beams with natural light. A recessed picture window complements the generous seating area. 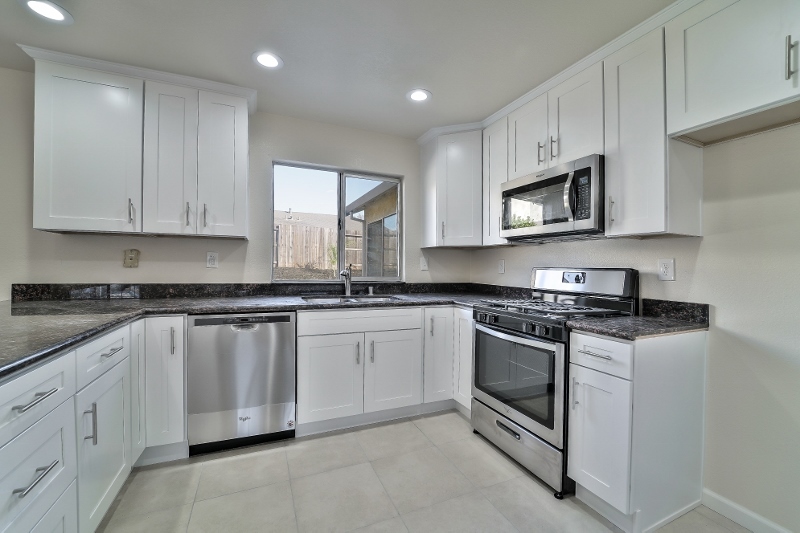 The open kitchen boasts sleek quartz countertop, pristine white cabinets and stainless steel appliances. 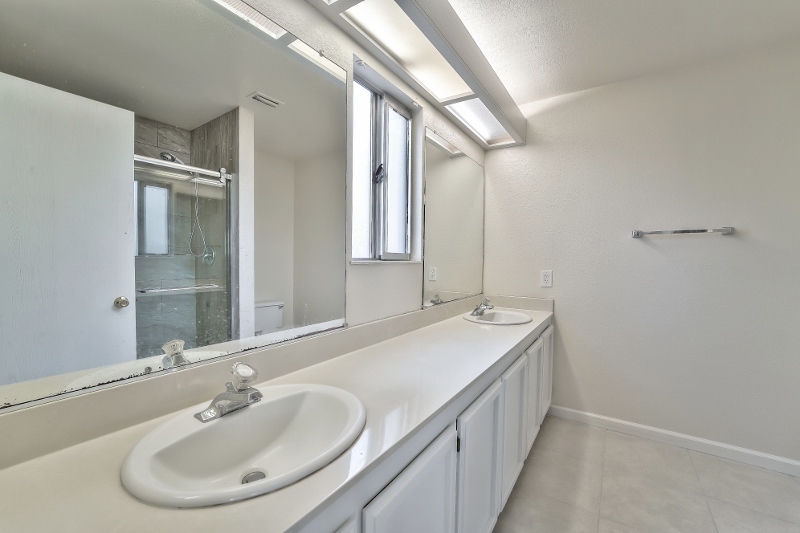 The details are enhanced with sunlight streaming through the windows over the sink. Open onto an expansive backyard with lush, green lawn and paved barbecue area, the indoor/outdoor flow is perfect for entertaining. 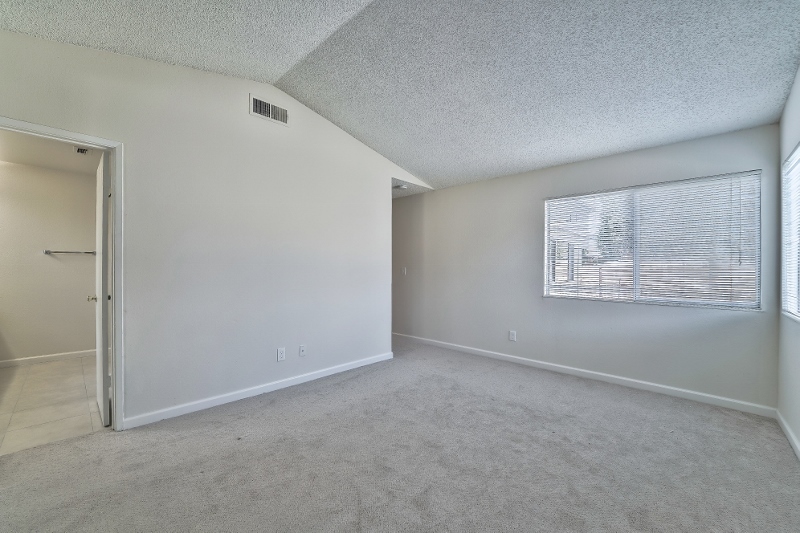 Down the hall you’ll find a laundry facility, shared full bath, and 3 sunny bedrooms. The grand master suite is nestled privately towards the end of the hall. 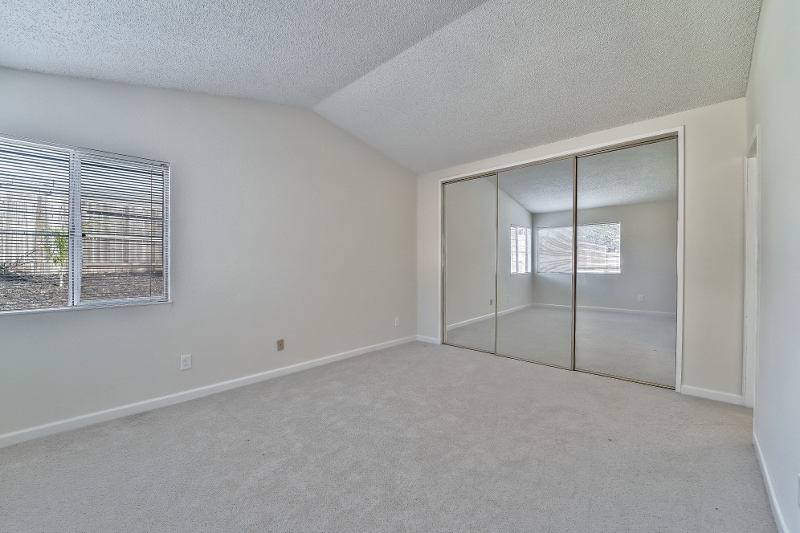 Other property details include mirrored closets, luxurious master bath, double vanity, shower and soaking tub. 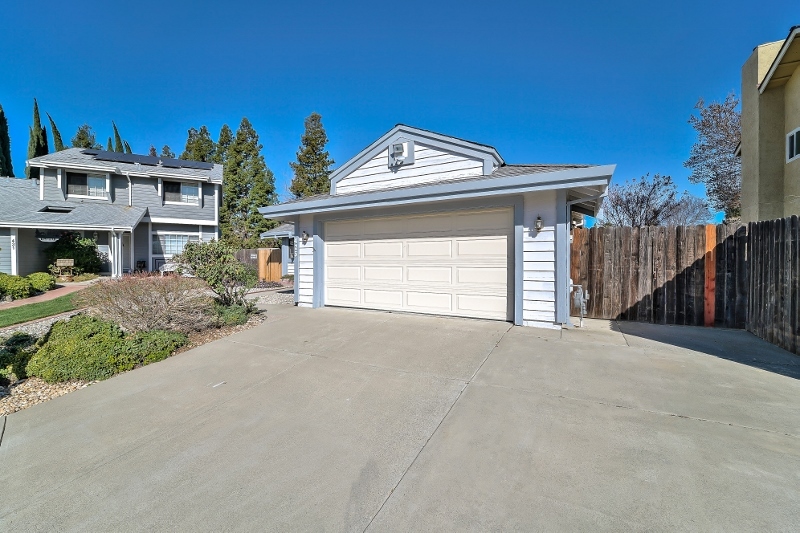 Tucked away on an exclusive cul-de-sac, your new home is just minutes away from Vacaville Premium Outlets, Target, and Walmart as well as shopping and dining at the Nut Tree Plaza. Local highways 80 and 505 are right around the corner for an easy commute.